Why choose an English summer school in Liverpool? There are so many reasons to attend a summer school in Liverpool. It’s a great city with lots to offer. If you’re considering studying in Liverpool for the summer, let us offer you some reasons why that’s a fantastic idea. Liverpool is home to thousands of students which means you won’t feel out of place. The city itself is extremely student friendly so you’ll feel right at home. Having a large student population is a sign of a good city and Liverpool has just that. It’s really easy to study in Liverpool on a budget. You’ll find it quite inexpensive to live in the city compared to other big cities in the UK. Rent for example, is relatively cheap, as is eating out. You’ll also be able to use a student discount card in most shops. Liverpool has a rich history and it can be seen throughout the city. Visit historic buildings such as The Liver Building and The Anglican Cathedral and famous landmarks such as the Docks and the World Museum. You’ll find lots to do when you’re not studying. If you’re a lover of music, Liverpool is one of the most musical cities in the UK. There are so many amazing music venues in Liverpool and the city is the birthplace of some brilliant bands. These include arguably the most famous band in the world – The Beatles. But also include other great acts such as The Coral, The Wombats, The Zutons and Cilla Black! If you’re a fan of football, one of the greatest rivalries in the UK resides in Liverpool. Everton FC vs Liverpool FC. During your summer you can catch the end of the football season and see if you can get yourself a ticket. You’ll be in for an amazing experience! If you’re thinking about studying in Liverpool for the summer, contact us at IEC Abroad to see how we can help find you a placement. 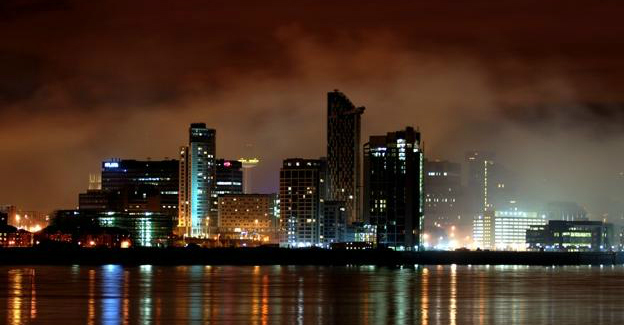 Liverpool is a great city and has some amazing academic institutions for you to attend. « Infographic: What is Boarding School?